The US seems to be the only place where Amazon doesn't advertise its newly-minted discounts as a "Spring Sale," but that's exactly what the smorgasbord of deals looks like. The spring cleaning brings back the lowest price for an iPad so far, at just $329 for the 128GB Wi-fi model. 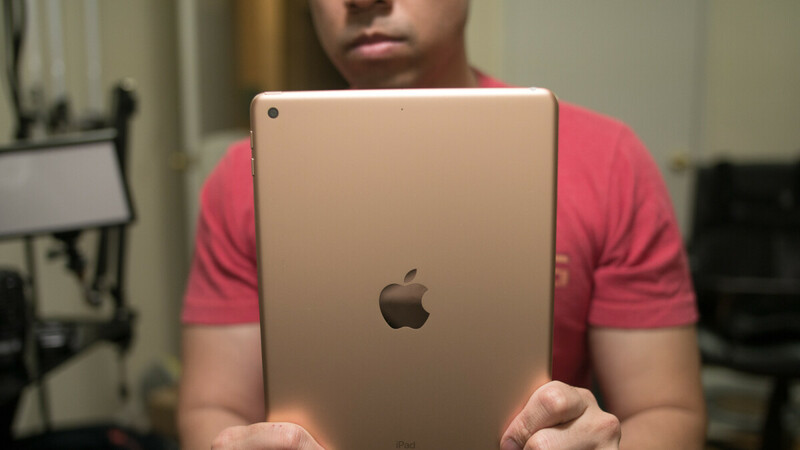 This is a Benjamin below Apple's own list price and brings the regular size iPad well below the tag of the new iPad mini even. Except for the wide-color display and front camera, there is effectively very little to differentiate this iPad from the newly-announced Air last month that you would miss on a day-to-day basis. You get a 9.7-inch Retina display, an A10 Fusion chip that is more than powerful enough for apps and games, a Touch ID fingerprint sensor, 8MP camera with 1080p video and an 1.2 MP FaceTime HD camera, the works. Best of all, the slate offers up to 10 hours of battery life and dual-speaker audio. All of that for $329 but hurry up as the Gold and Silver models with 128GB storage, for instance, are already on backorder, and will be shipped to you next Tuesday if you pull the trigger now. The sale is also valid for one 32GB version, too - the Gold Wi-fi model - which can be had for just $249, effectively a steal. That one is backordered as well, though, as can be expected for such a sweet discount.